Ryan made his statements on the matter in an interview with Kentucky talk radio station WVLK. 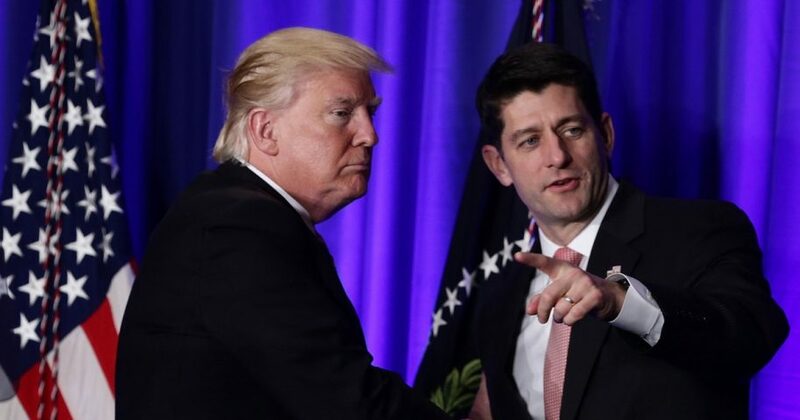 “As a conservative, I’m a believer in following the plain text of the Constitution, and I think in this case the 14th Amendment is pretty clear, and that would involve a very, very lengthy constitutional process,” Ryan continued. The Republican did, however, agree with the heart of the issue that Trump is trying to address. “We’re the only country in the world where a person comes in and has a baby, and the baby is essentially a citizen of the United States … with all of those benefits,” Trump told “Axios on HBO” in a snippet of an interview that aired Tuesday. “It was always told to me that you needed a constitutional amendment. Guess what? You don’t,” Trump continued, claiming an executive order would be sufficient to change the policy. One group firmly against Trump’s plan to change the way people become American citizens was the American Civil Liberties Union. The group blasted Trump’s proposal as an uninformed political ploy. “This is a blatantly unconstitutional attempt to fan the flames of anti-immigrant hatred in the days ahead of the midterms,” the group posted on Twitter. Of course, Ryan wasn’t the only politician with thoughts on the president’s statement. “Congress would have to get involved … it is something we’ll be looking at,” Sen. John Hoeven said, according to Politico. Do you think it is unconstitutional to end birthright citizenship? “Clearly we need to do something in terms of people who are here and are citizens vs. people who just show up. And all of a sudden parents that have never really lived here are just trying to get in here for that reason. So we’ve got to find a way to address this,” Hoeven continued. Republican Senate Judiciary Chairman Chuck Grassley also weighed in, saying that while he viewed it as “settled law,” there was “a debate among legal scholars about whether that right extends to the children of illegal immigrant,” according to Politico.